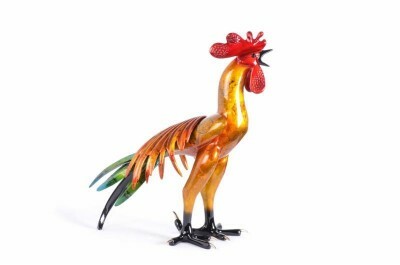 Cocorico, solid bronze Rooster sculpture by artist Tim Cotterill. Cocorico is here to rule the Roost! Confident and flamboyant, this solid bronze rooster sculpture by artist Tim Cotterill exhibits the classic traits of a rooster. 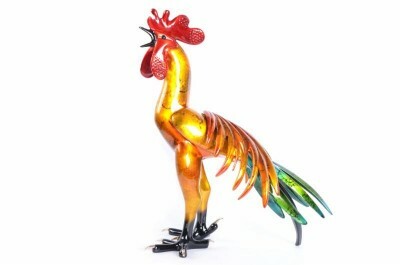 The iridescent blue-green tail, accentuated by the copper toned saddle feathers, transitions to a burnished gold body. The brilliant red comb is the crowning touch to this vibrant patina. Watch Tim Cotterill, the world's biggest-selling bronze artist, talk the inspiration behind Cocorico!